Today we are announcing a new benefit for AutoCrit Elite Members – AutoCrit Author Spotlight! When Elite Members publish their books, we’ll help celebrate the success and share the big announcement with the tens of thousands in the AutoCrit community. 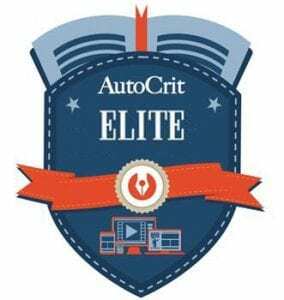 To turn the spotlight on you and your book, become an AutoCrit member at the Elite membership level and enjoy your first 14 days for just $1. Our first spotlight is 15 time author, Joel D Canfield. We had the pleasure of chatting with him to understand more about his latest book, writing career, and how he uses AutoCrit it his writing process. Thanks for meeting with us, Joel. How about starting with an introduction and a bit about your writing career. I’ve been a voracious reader since the age of four, but never considered writing a book until the internet made self-publishing possible about the turn of the century. Good thing vanity press was no longer the only option by the time I wrote my first book in 2008. After self-publishing nine nonfiction books, mostly about small business operations and marketing, I focused the past few years on writing mysteries. My fifth mystery was published in December of 2016. 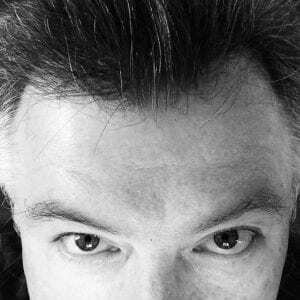 I’m currently working on a science fiction adventure, similar to those I read as a kid, with a half-dozen novels in various genres in progress. I’ve also written over 100 jazzed-up country rock songs and a few poems. And you have a new book you just released? 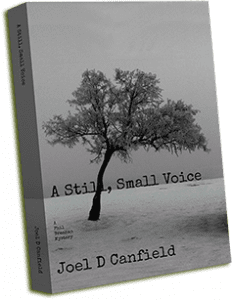 In December of 2016 I released my second Phil Brennan mystery, A Still, Small Voice, which follows A Long, Hard Look. It’s my fifth mystery and my fifteenth book overall. What is your overall strategy for writing and editing? As a writing coach I’m a huge fan of understanding story structure and created an outlining process for writers who don’t like to outline. In short, I write one sentence for each of the twelve critical waypoints any novel must touch, then expand those into a list of scenes. Anyone interested can read more details in this article. Before, during and after this process, entire scenes and segments will pop into my head. I know better than to think I’ll remember them when it comes time to write. When my unconscious serves up prewritten pieces of the book, I sit down and type like the wind. Once the first draft of the manuscript is complete, I send it to my tiny circle of most trusted readers. These are authors who not only understand my writing, they understand me and know the feedback that will matter to my stories. Next comes another round of rewrites, subplot insertion, and general messiness, resulting in a finished draft ready for editing. Editing step number one is rereading the book myself, looking for typos, grammar problems, awkward wording and anything my eye catches as a reader. Then comes AutoCrit. After AutoCrit points out the obvious (but not to me) flaws it always catches, I correct these and send it off to my brilliant editor, Tom Bentley. I incorporate Tom’s advice, send it to my proofreader, James Ashman. Then it’s ready for Kindle and print versions. What do you find the most rewarding part about writing? Its therapeutic value. I write to purge painful experiences from my past, though of course they are heavily disguised in my fiction, and I write to explore how I feel about seemingly morally ambiguous situations. I love putting characters with black and white ethics in “best bad choice” situations. It forces me to think through what I believe, and confirm or adjust. I’m also an incorrigible storyteller. I will spin a yarn to anyone who will listen—and sometimes when no one is listening. Even my songs and business books are full of stories. My almost childish need for approval. My books don’t fit neatly into the mystery genre. There are usually no murders and very little in the way of a puzzle to solve. It would be easy to shoehorn expected mystery tropes into my books and make them fit the expectations of a wider audience. But then they wouldn’t be my books because that’s not what I write. Do I create the art that is genuinely mine or do I grovel for approval? That conflict causes the bulk of the anguish surrounding my writing. For the record, I love writing and this challenge is far overshadowed by the joys listed above. You have been an AutoCrit user for quite a while now. What first attracted you to AutoCrit? Knowing that language is based on rules, the idea of an automated editing process made sense to me. I have a human editor but I knew that the cleaner my manuscripts were when they arrived on his doorstep, the more time he could spend on nudging me toward greater art because he spends less time on mundane repair issues. Once I started using AutoCrit, it met my expectations as a tool. Where my expectations were exceeded was the customer service I received. That’s the reason I continue to recommend AutoCrit rather than any other self-editing tool. Can you step us through your revision process using AutoCrit? In the early days I ran every report AutoCrit offers. I quickly realized some things, such as sentence length variation, comes naturally to me. I still run these reports, but give them only a cursory glance to confirm I haven’t suddenly lost my mind. I focus primarily on the reports regarding overused words, clichés, and all the reports in the categories of Word Choice and Strong Writing. I glance through the results of each report to get a feel for trends – things to implement, things to ignore. Then it’s the hard work of analyzing, adjusting, or accepting each instance. Over time, the reports have helped me build a short kill-word list. I check for these words before uploading to AutoCrit so I’ve dealt with ‘just’ and ‘only’ and words like that before AutoCrit even sees it. Over time, these words have all but disappeared from my writing. Once I’ve implemented what I choose to take from AutoCrit’s reports, the manuscript gets sent off to my human editor, who still has a greater understanding of certain aspects of my writing than even AutoCrit. For instance, if I move the kitchen door between two scenes or have a character carrying three things, one in each hand, it seems only a human editor will catch errors like that . . . for now. What do you find the most beneficial feature(s) of the system? The one thing that changed AutoCrit from good to great was the removal of a word limit. It helps me very little to know the overused words in a single chapter, for instance. I want a tool analyzing the entire manuscript. AutoCrit neatly managed my 75,000-word upload without bogging down or breaking. Any tips or tricks you want to share for first time users? Dive in and play. You won’t damage AutoCrit, won’t break the internet, and won’t lose your writing. Play with the tools and see which reports make sense for you. Read the help files, of course, but don’t hesitate to ask for help. The folks at AutoCrit seem genuinely delighted to help, every time I run into a little hitch. In 2017 I’m hoping to massively ramp up my writing and streamline the editing and revision part of the publishing process. As a result I’ll be doing far more of the editing and revision myself, making AutoCrit’s Strong Writing reports vital. Watch for a science fiction adventure, a third Irish adventure, a P.G. Wodehouse style country manor comedy, and possibly the coming of age story I started nearly a decade ago. And, of course, music. Hmmm . . . I wonder if AutoCrit could help me with my songwriting?